The deadline has been extended to apply for the RCSL-SDJ Lisbon Meeting 2018 “Law and Citizenship Beyond The States” to be held in September 10-13, 2018. We will discuss, among other topics of sociology of law and justice, the contribution of law to the power of citizens, at a time of increasing competition between state law, once the main source of people’s rights, and multiple global and local normativities (see our call, open from 15 October to 15 December 2017). The meeting is co-sponsored by the Sociology of Law and Justice Section of the Portuguese Sociological Association. 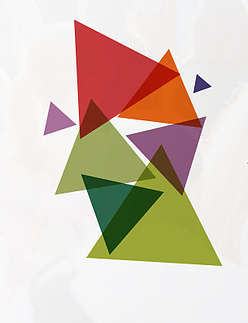 It is organized by DINÂMIA’CET-IUL, a research unit of ISCTE-IUL , which gives the Local Organizing Committee its institutional framework and administrative support, in partnership with the following partner research units: CES (Coimbra), CICS.NOVA (Braga, Lisbon), CIES (ISCTE-IUL, Lisbon), and CRIA (Lisbon, Braga), as well as with the International Institute for the Sociology of Law (Oñati). On top of these academic partnerships, we pretend also to involve personalities and entities from outside the world of science, for this meeting to be itself, as far as possible, an experience of citizenry beyond the states. New deadline for applications: January 15th, 2018. If you are a former student of the Oñati Master, you may want to consider presenting in the Oñati Sessions.